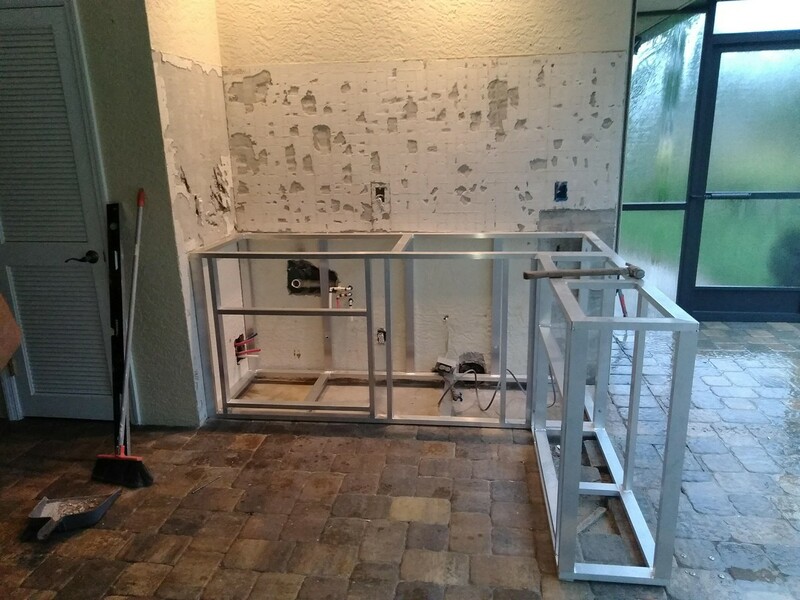 This job involved demolishing the existing kitchen, removing a knee wall, and installing our own custom frame. We even had to run new electric and re-stucco the entire wall. But the results were worth the extra effort. 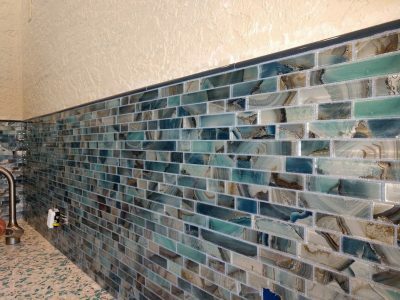 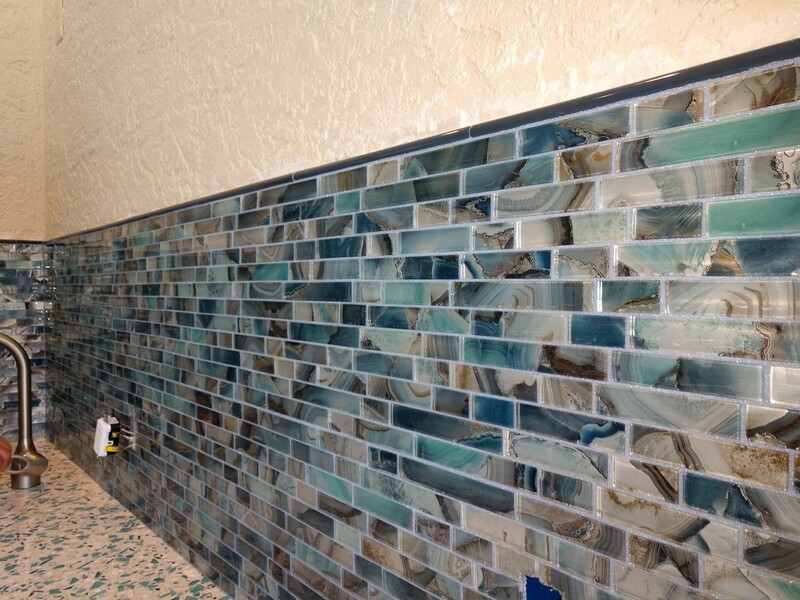 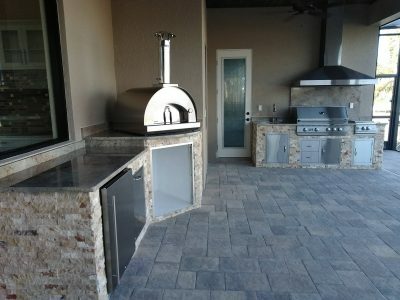 The newly renovated outdoor kitchen comes complete with glass countertops and a custom glass mosaic tile backsplash. It also has a travertine stone face to match the customer’s outside shower. 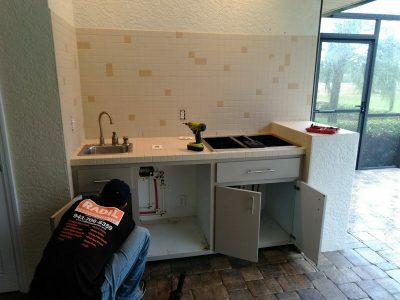 In Progress: after removing the cabinets, sink, tile backsplash and knee wall, we replaced it with a new frame. We designed this kitchen to fit the layout of the customer’s lanai area, while accommodating a range of appliances including a 38″ Summerset grill, power burner, 60″ hood vent, Fontana Forna pizza oven, and a Summerset fridge. 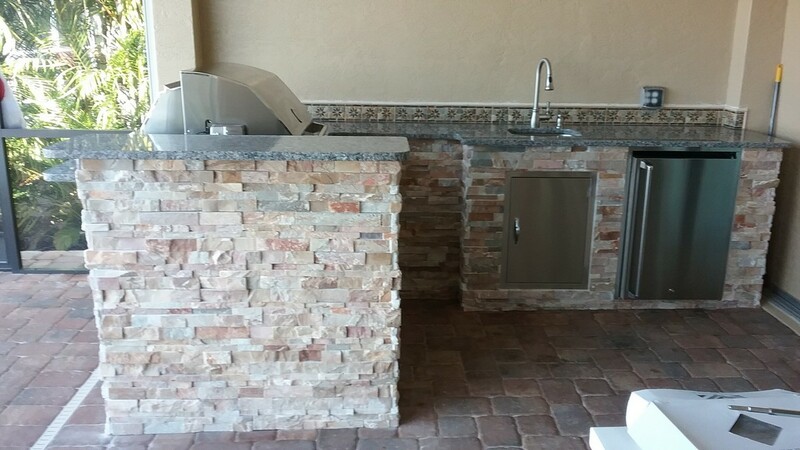 The countertops are a level 3 granite and the face material is Travertine. 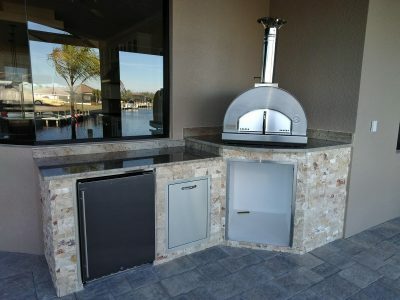 This custom layout accommodates the customer's desired appliances - including a pizza oven. 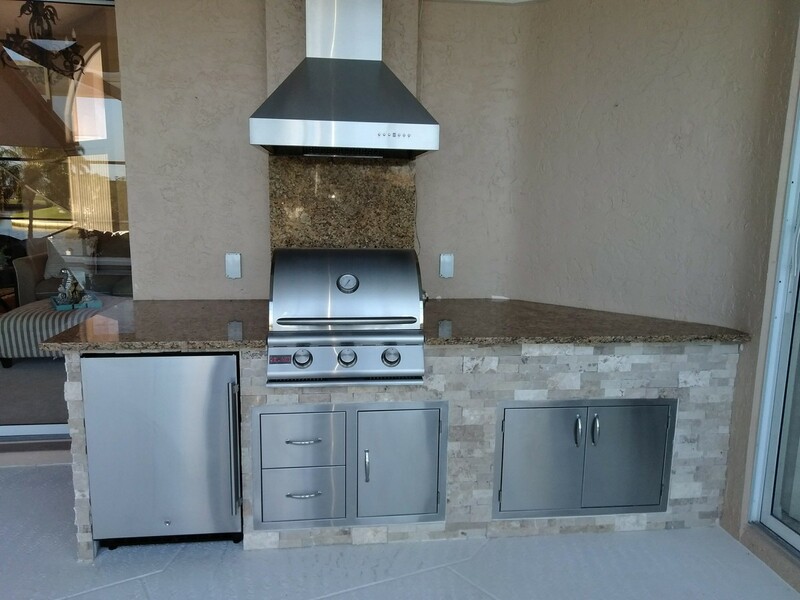 For this unit in Punta Gorda, we ripped out the existing and added a new one with a Blaze grill, Zline hood vent and Summit fridge. 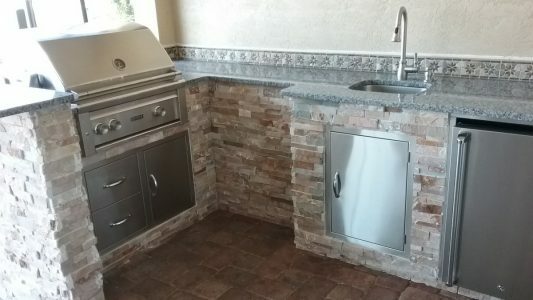 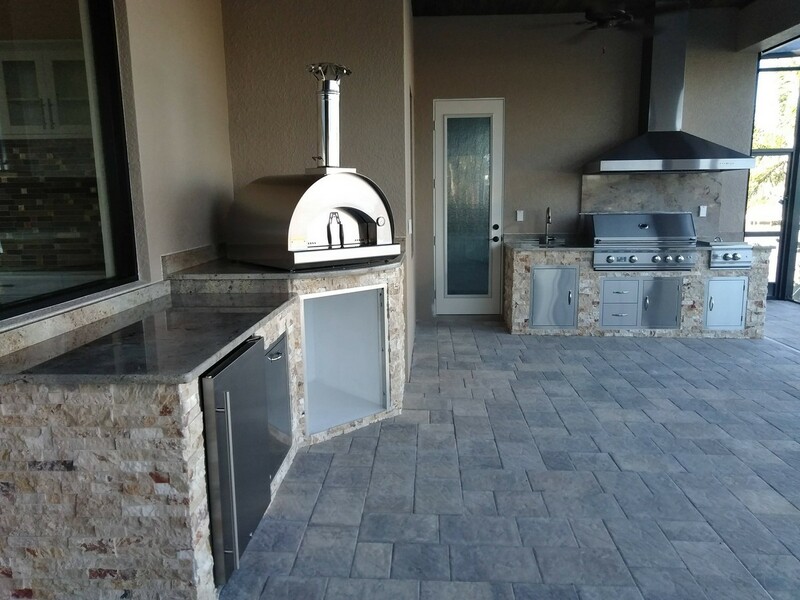 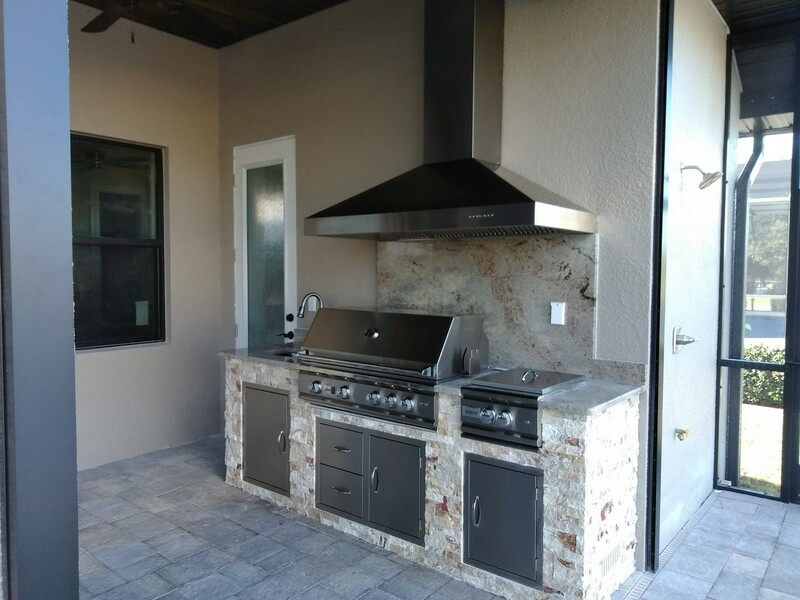 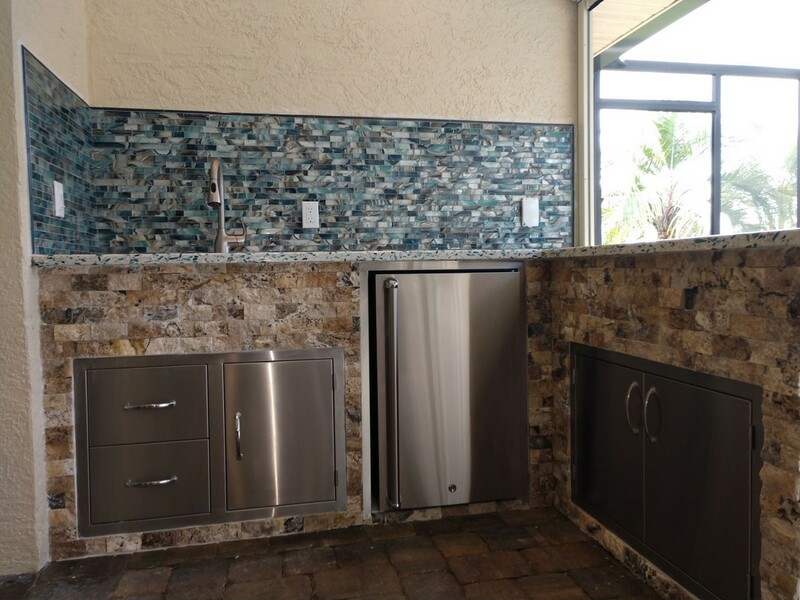 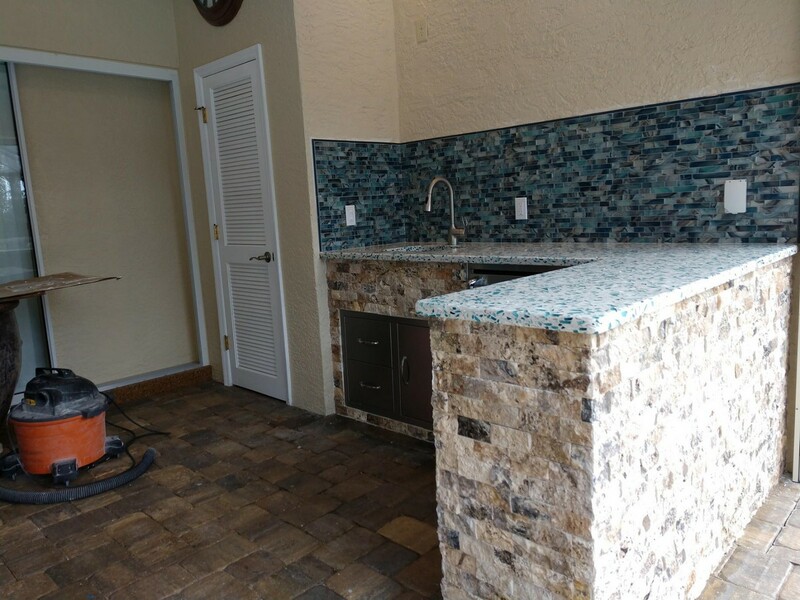 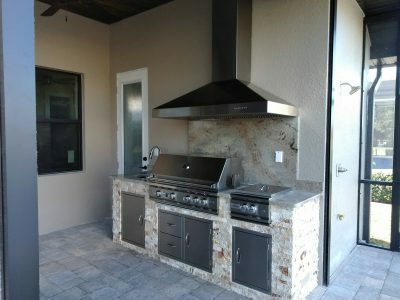 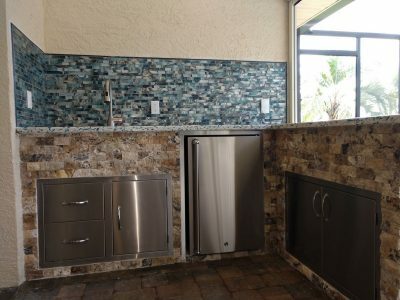 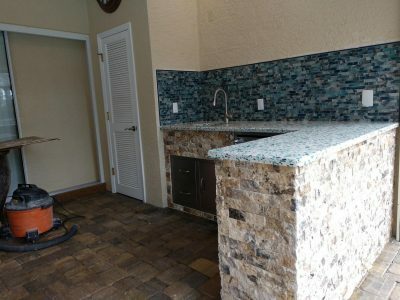 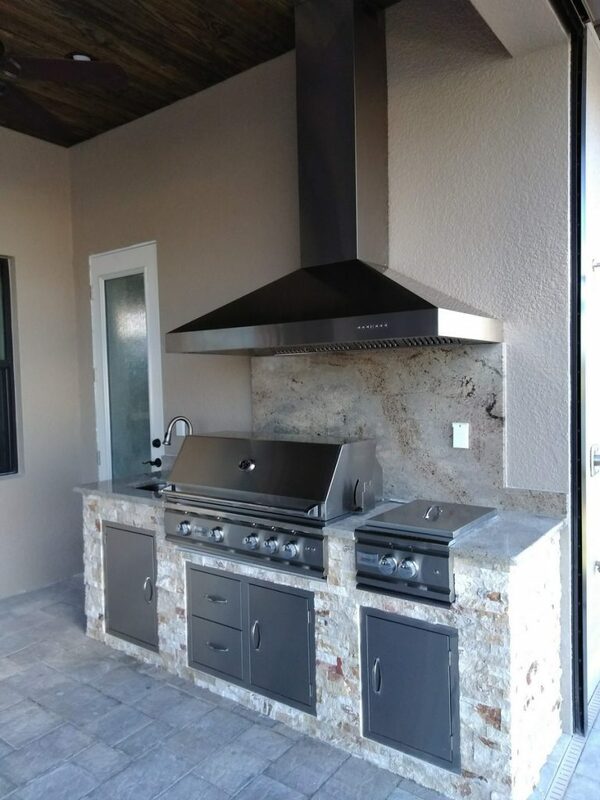 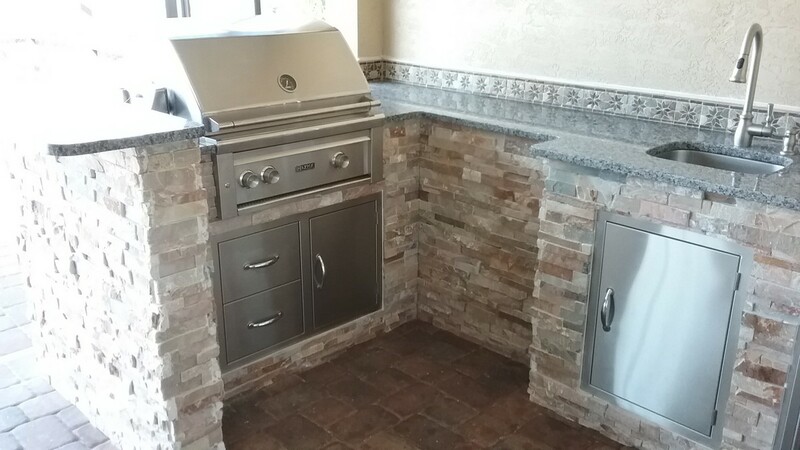 The outdoor barbecue area we created for this Punta Gorda resident included granite countertops and a unique tile backsplash, complete with a refrigerator, sink, access door and the focal point — a premium Lynx grill.